Samsung SDS and Tech Mahindra are partnering to collaborate in the global blockchain market. As part of the collaboration between the two companies, Tech Mahindra will offer Samsung SDS’s blockchain platform, Nexledger, in the Indian and global market. It is said that Nexledger, a blockchain platform developed by Samsung SDS, is flexible and scalable with the ability to deliver a wide spectrum of customizable use case application services to trusted participants on the fly, based on enterprise-specific requirements. Nexledger provides flexibility to developers as they can choose from various blockchain core technologies and consensus algorithms such as NCA (Nexledger Consensus Algorithm), Hyperledger Fabric and Ethereum. 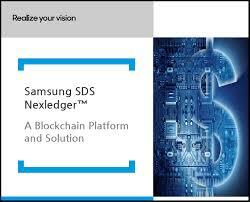 Since the launch of Nexledger in 2017, Samsung SDS has secured various use cases in the real business, specifically, in the financial, logistics, and public sector. Blockchain is the upcoming technology which has been evaluated (in the form of PoCs) by various customers across the globe last year. This year it is expected that these PoCs will get converted into commercial deployments. Both partners consider Blockchain as a strong focus area in 2019 and will leverage each other’s strengths in various geographies to make this collaboration successful. Tech Mahindra makes available Samsung’s blockchain product Nexledger in India 0 out of 5 based on 0 ratings. 0 user reviews.